How Would You Like To Get 40 Extra Step-By-Step Private Label Videos Included In Your Package? Thank you and congrats on choosing to get Free Business Videos PLR! ... And all you need to do is just make one EASY sale - and the rest is PROFIT! DOUBLE Your PLR Videos And Make 100% Profits As An Upsell, Cross-Sell, One-Time Offer, Or Backend... And A Lot More! In this Upgrade package, you get an additional 40 videos. Combine this with your current 20 videos in your Main package... that's a total of 60 videos in all! 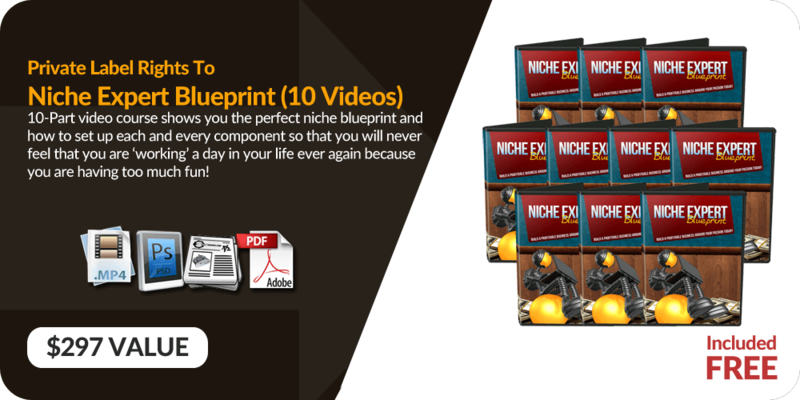 The videos in this Upgrade package cover even more freely available tools that people can use to build their niche business sites. MILLIONS of small businesses, simple startups, hobbyists, local specialists, and freelancers are looking for this information. Remember - you also get the rights to edit, rebrand and resell this as your own! 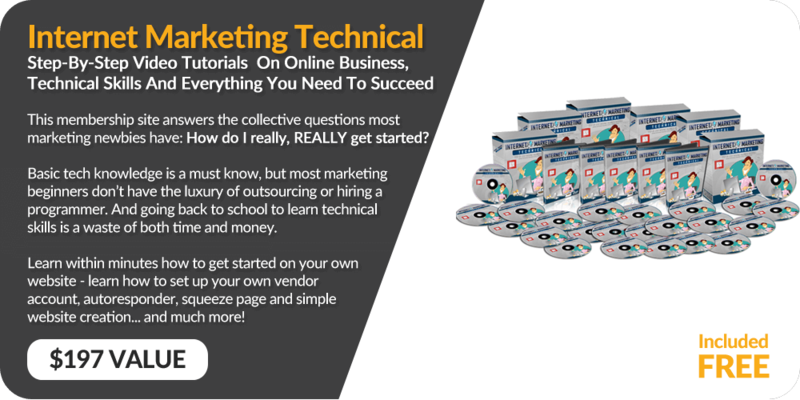 You get the video version of this training course, which in itself can be a potential middle or big ticket offer - if you choose to sell it and position it so! The video series is voiced over by a professional British voice over actor we hired to make this training course as amazing and clearly presented as possible. 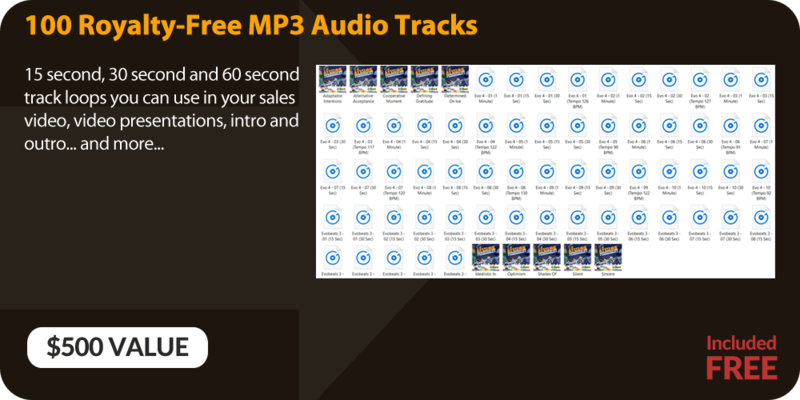 Whether you want to resell as it is OR take one step further by rebranding these videos, these MP4 videos are yours! Keep your wallet away from expensive copywriters that charge thousands of dollars… because a professionally written Sales Letter and Thank You Page have already been done for you! Furthermore, unlike typical Resale Rights we won’t hold you back on how and what you want to present on your sales page. That’s right! 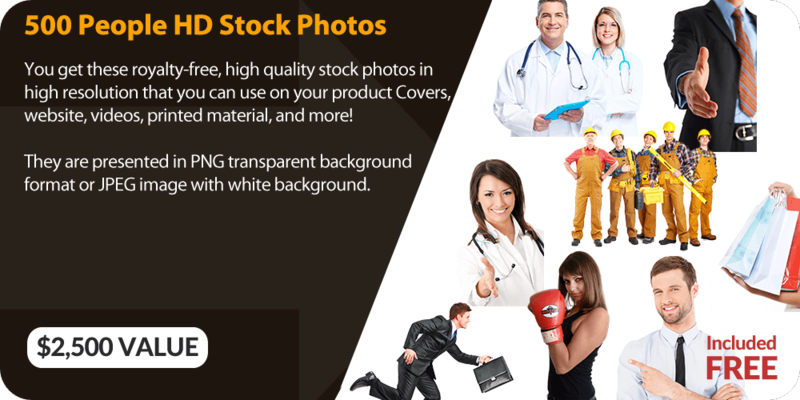 You also get this instant promotion tools page with all the materials such as promotion emails and banners ready to go! 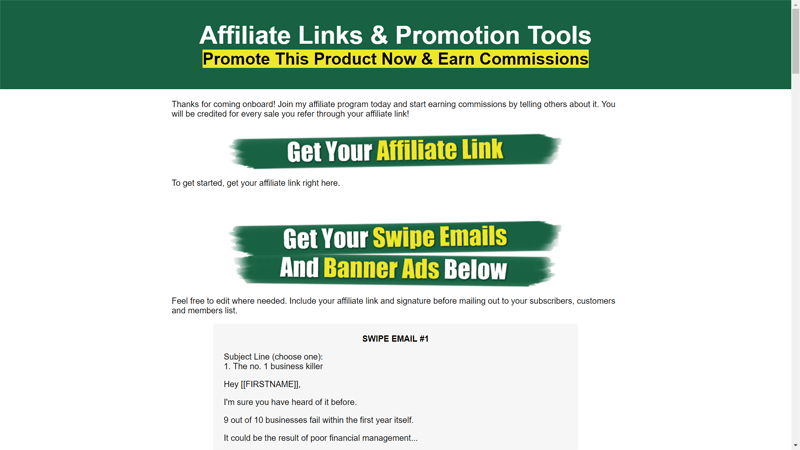 While you can use this for yourself, the main purpose of this promotion tools page is for the convenience of your affiliates. Recruit your affiliate army and send them here... they will help themselves to all these pre-made promotion materials and enthusiastically promote your offer for profits! Together with the promotion tools page, you get a set of 5 x graphic banner ads that you can put on your website, blog or thank you page . . . or let your affiliates use them! These are the proven banner ad dimensions that get clicks, which is why I deliberately chose these 5 dimensions for you to use for your banner advertising! 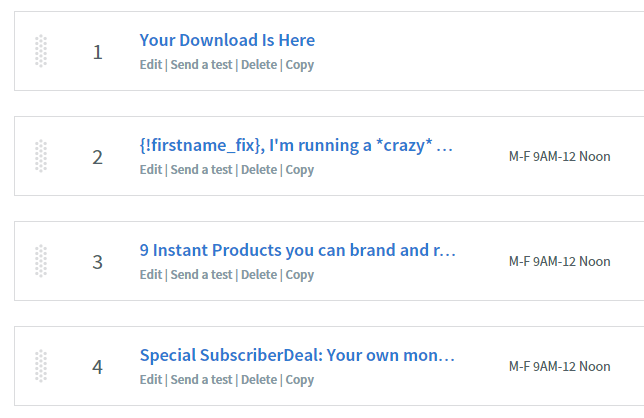 In addition to the banner ads, you also get the swipe emails you can use to blast out to your mailing list - effectively making you sales as early as within the next couple of hours! OR let your affiliates use it, slap their link in, and promote relentlessly for you! You can include this as part of the product you are selling, add introduction and ending music, or do audio streaming on your website. The audio is professionally done by our hired American voice over artist! Like the Main Video Series, you also get the Private Label Rights to edit, rebrand, watermark, and make these videos part of your Online Business vision. You Get It All FREE With Your Upgrade! WARNING! You Get To See This Only ONCE. This Offer Is NOT Made Public - And With Good Reason. It's my way of saying thanks for choosing Free Business Videos PLR, and I think you deserve to get the rest of the videos at a discount. There Is Only One Catch Though: You Get To See This Offer Only Once. If you click away or close this page, you won't get to see it again after this. No Thanks Edmund, I'll Pass This Up. I Don't Want To Add Another 40 PLR Videos To My Collection. Forward Me To The Next Page . . .